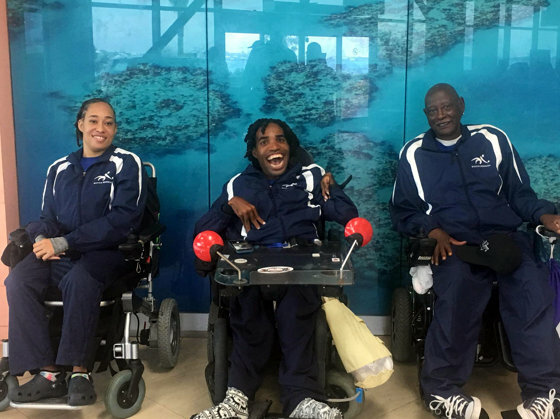 The Bermuda Paralympic Association is excited to announce that 3 Bermuda athletes will battle it out for World titles at the BISFed 2018 World Boccia Championships. Yushae DeSilva-Andrade, Steve Wilson and Omar Hayward will compete in the individual competition from the 12th -15th August. All three athletes have been steadily climbing the World Rankings and are hoping good performances will continue to propel them further upwards. Omar Hayward will be making his debut at the World Championship Level and will be led by his more experienced team mates Steve and Yushae who both competed at the last World Championships in 2016. Yushae also competed at the 2016 Paralympics in Rio. The World Championships is set to attract 190 players from 33 countries to Exhibition Centre Liverpool. The competition is the biggest and most prestigious on the international calendar outside the Paralympic Games. Athletes will compete for world titles, as well as crucially important ranking points ahead of the Tokyo Paralympic Games in 2020. Chair of Boccia UK John Dowson explained: “Boccia saw sell-out crowds in London 2012 and Rio 2016. The sport is growing at a terrific pace internationally so we are thrilled to be hosting the BISFed 2018 World Boccia Championships. It’s the largest event on the boccia calendar and we are gearing up to provide an unrivalled experience for both athletes and spectators”.